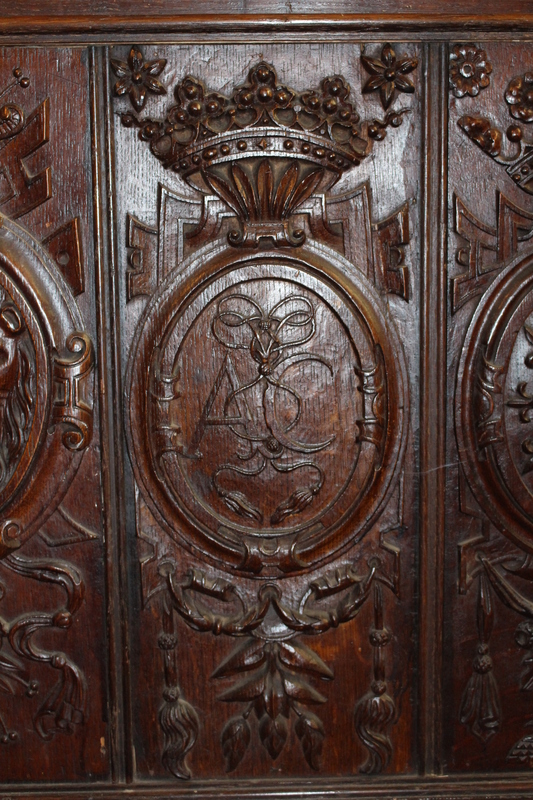 If you followed the launch of ‘In the Footsteps of the Six Wives of Henry VIII’ back in March, you will be aware of the story of the set of oak panels, adorning the interior of Old Warden Church, which folklore said belonged to ‘Anne of Cleves’ chapel in Bruges’. As part of my research on Anne of Cleves, I could not help but delve deeper into the enigma surrounding them. There was considerable media interest in our adventure in time, concluding as we did that all the physical, visual and circumstantial evidence placed the panels as being contemporaneous to Anne’s life. Renowned architectural historian, Jonathan Foyle, stated that the collection was a ‘nationally important historic collection’ and a ‘vanishingly rare’ example of a royal interior associated with a period in the 1550s known as counter-reformation classicism’. For more on the story, click here. The event will be held on Sunday 3rd July from 2pm. Tickets for adults are £5; children are free. There is no need to book in advance, just turn up on the day. I hope to see some of you there in person. Please spread the word and come and be among the first to hear our announcement.